The Toronto Real Estate Board reported 10,180 sales in June. This represented an increase of 15.4%, compared to June 2013. New listings were also up compared to the same period in 2013, but by a lesser annual rate. This means that competition between buyers increased in June. “Home buyers in the Greater Toronto Area are confident in their ability to purchase and affordably pay for a home. Generally speaking, buyers feel that ownership housing will be a good investment over the long term. This is why we continued to see increases in home sales in June for all major home types across the GTA. 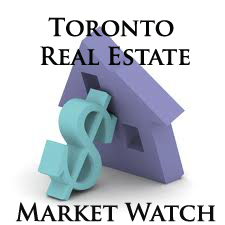 Given the degree of pent-up demand in the market today, I would expect to see sales growth continue through the summer,” said Paul Etherington, Toronto Real Estate Board president.